Radiohead has released the music video for their newly released track, “Burn the Witch”. The Radiohead Burn The Witch music video uses stop motion to tell a story influenced by the style of British children TV Trumptonshire trilogy Camberwick Green, Trumpton and Chigley and the plot of the 1973 horror film The Wicker Man. A visitor to the village, hosted by the mayor, discovers a sinister cult in a seemingly normal community. 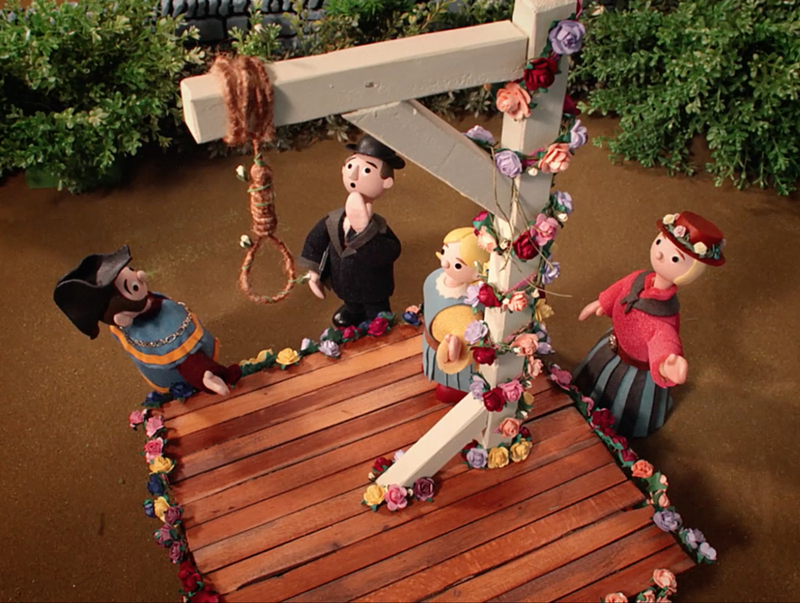 Everywhere the inspector goes it seems the residents have become obsessed with public execution and deathly rituals, with installations featuring the Iona cross, the painted plague cross, the witch dunking stool, a grisly beef wellington pastry, death by sword, a floral gallows. The mayor and the inspector visit Jobe’s tomato farm. 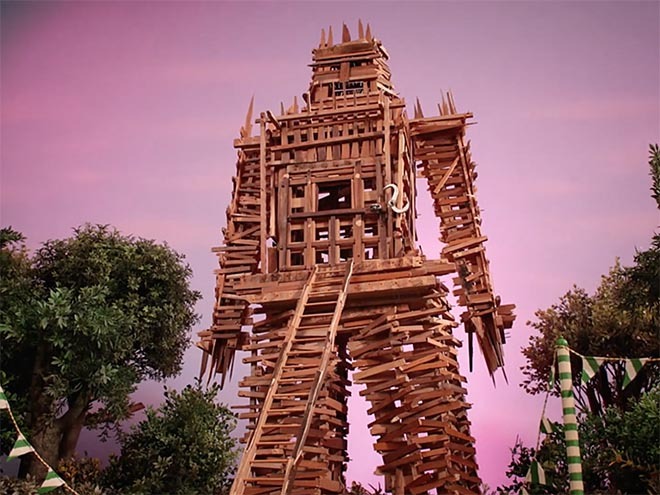 Finally the inspector finds himself trapped in the burning Wicker Man, the ultimate sacrifice for a village reliant on cropping success. 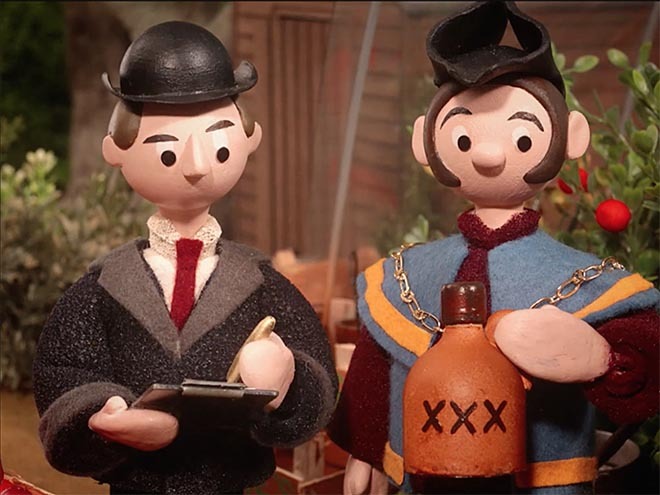 The release of Radiohead Burn The Witch comes after Radiohead deleted content on their web site, Facebook page and Twitter page. Fans received mail-out leaflets with the words, “Burn The Witch. Sing the song of sixpence that goes Burn The Witch. We know where you live”. The music video begins and ends with a bird singing in the trees. This may be a reference to “Dawn Chrous LLP” and “Dawnnchoruss Ltd”, companies formed by Radiohead in the lead up to the release of their new album. Radiohead’s social media shutdown took place on the first Sunday in May, International Dawn Chorus Day. 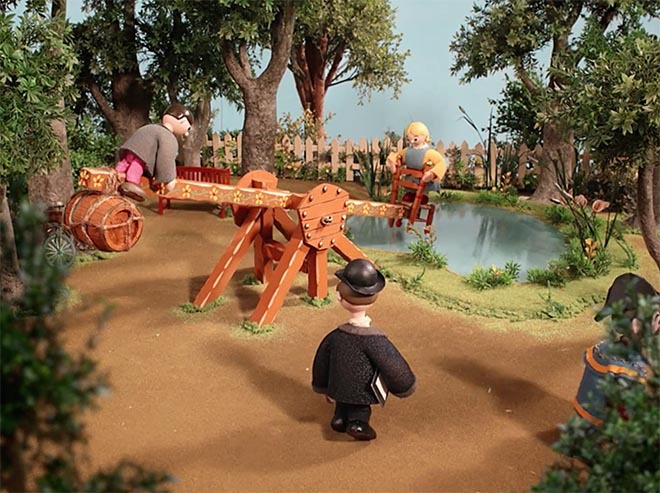 Filming was shot by director, art director, production designer and animator Chris Hopewell, at Jacknife with producer/animator Rose Lea Brind, editor/colourist Ben Foley at Buckloop, director of photography Jon Davey, key animators Virpi Kettu, Louie McNamara, Oli Putland, animators Aaron Hopewell and Andrew Stuart, set designer Holly Jo Beck. Puppets and props were by Elaine Andrew, Virpi Kettu, Bonnie Griffin, Lucy Roberts, Ash Clarke, Ella Baraclough, Bec Coates, Rosie Lea Brind, Chris Hopewell, and Andrew Stuart.